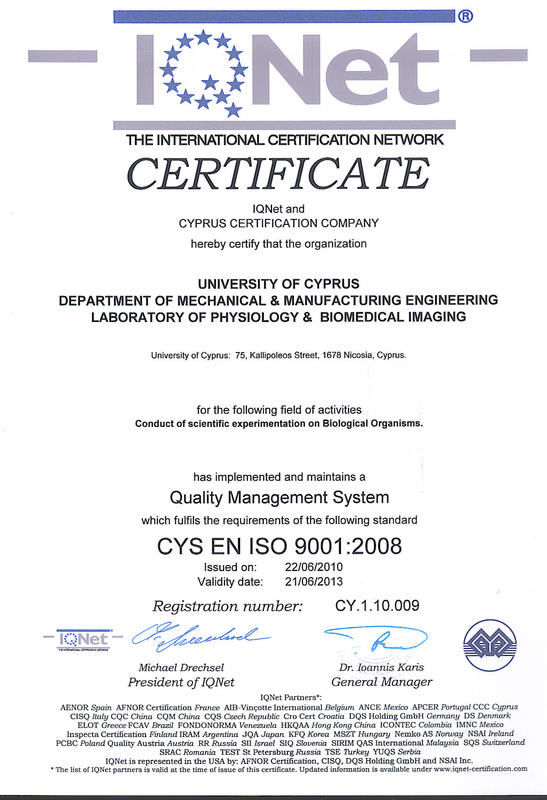 LBI pioneers the initiation and completion of the first study ever conducted on transgenic mice of cardiac pathology in Cyprus under in-vivo conditions. With the help and gracious support of Professor Howard Rockman and his staff at Duke University, LBI has formulated a Duke-UCY collaboration (under the auspices of a Material Transfer Agreement, mediated through the UCY Research Office [Mr. G. Makrides and Mr. E. Drousiotis]. The experimental study conducted in Cyprus (involving wild-type control and MLP [LIM] knockout mice provided by Professor Rockman) has been undertaken by Dr. Marcos Michaelides (animal biologist) with the support of Dr. Christakis Constantinides (LBI Director). 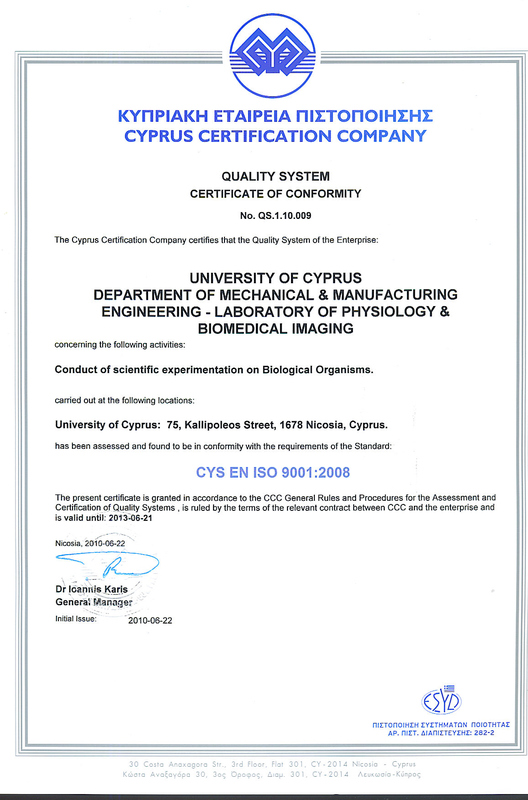 The work has synergistically engaged the collaboration of Dr. Soteria Georgiadou and her staff members at the Histopathological Laboratory of the Veterinary Services of the Ministry of Agriculture in Cyprus.